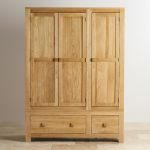 This generous wardrobe will give you plenty of hanging and drawer space for clothes and accessories. 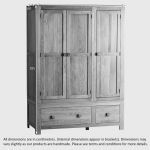 Two hanging cupboards – one double, one single – sit above two deep drawers, so handy for tidying winter woollies or shoes. 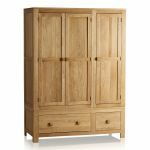 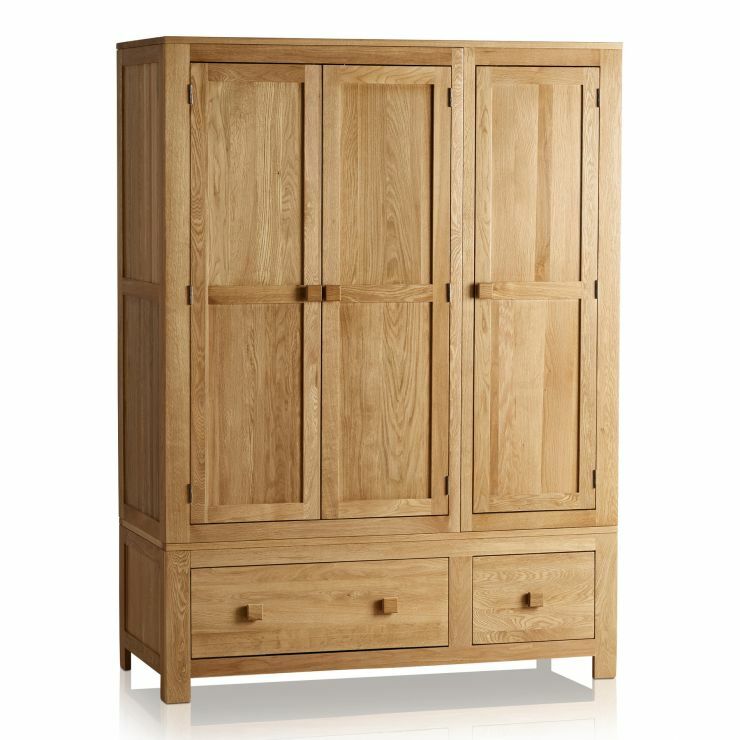 The unfussy design of the wardrobe lets the natural beauty of the oak shine, and also makes for a long-lived piece of furniture. 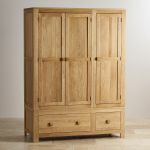 Strong oak construction – including the back and base – and dovetail joints on the drawers add to the longevity of the furniture. 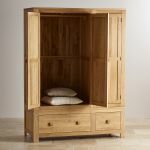 With matching pieces in the range, and free delivery, you can put together a beautifully simple oak interior in your bedroom, and enjoy it for years to come.